Yas Acres ... main works to start. Trojan will build infrastructure, residential units and other amenities under a $462.9-million contract at Yas Acres. Trojan General Contracting has been appointed as the main contractor for the first three precincts of the Dh6-billion ($1.633 billion) Yas Acres, Aldar Properties’ flagship development on Yas Island in Abu Dhabi, UAE. The main package is valued at Dh1.7 billion ($462.86 million) over a period of 32 months, and covers the three precincts launched thus far. Trojan General Contracting will mobilise on site immediately as it works on all infrastructure, 652 villas and townhouses, the golf course, golf club house, mosque, retail and community clubs. 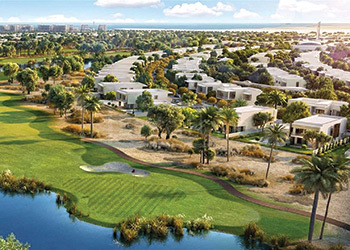 This follows the recent completion of the early works package, with Yas Acres having recently crossed its first construction milestone of 10 per cent completion, says Aldar.